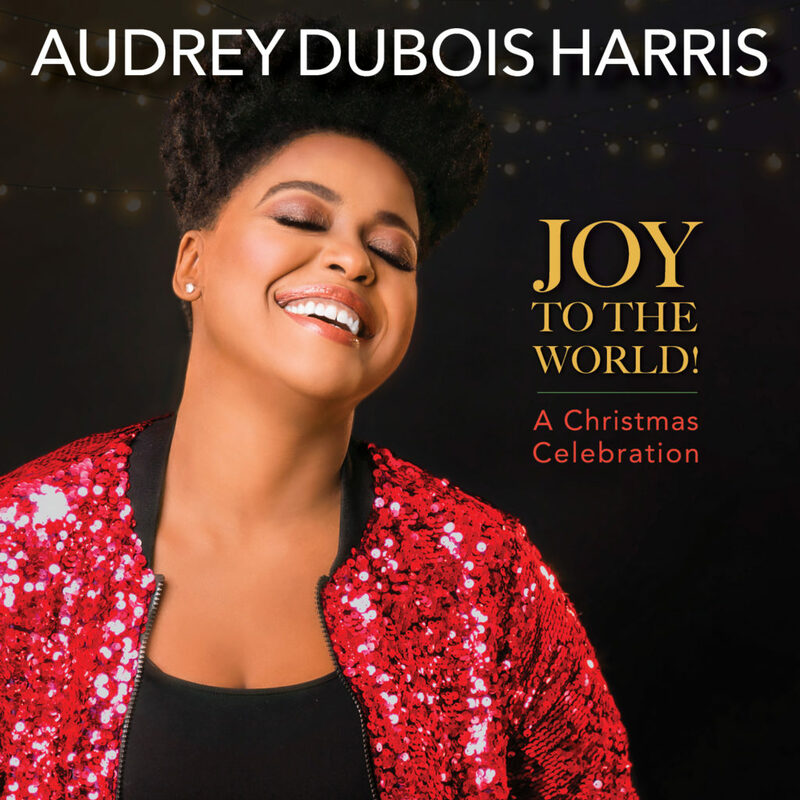 (New York, NY – November 23, 2018) – World-renowned classical artist Audrey DuBois Harris is set to release her first full-length holiday collection with JOY TO THE WORLD! A Christmas Celebration today, Friday, November 23, 2018, on her imprint, Noble World Records. The album consists of ten Christmas favorites with one bonus track, all arranged and produced by DuBois Harris. Each song specifically celebrates the birth of Christ, with unique arrangements spanning Classical, Latin, Caribbean, Gospel, Americana, and more. Throughout, these holiday favorites are enlivened by DuBois Harris’ powerful soprano voice, which combines crystalline clarity with an impressive range and sinuous soulfulness. The result is a refreshingly new take on familiar holiday fare. In addition to “Oh Come, Oh Come, Emmanuel,” the new collection includes a toe-tapping version of Handel’s “Joy To The World,” a country-tinged “Silent Night,” a Latin-tempo for “What Child is This,” a Caribbean lilt for “The First Noel,” conga drums on “Little Drummer Boy,” and church organ for “Jesus, The Light of The World,” which is dedicated in loving tribute to the memory of the late Aretha Franklin. DuBois Harris’ technique and gifts were on display for a broad TV viewing audience in August 2018, as she sang a heartfelt tribute at the Celebration of Life Homegoing Service for Aretha Franklin. A native of Miami, Florida, DuBois Harris was raised in the Baptist church and educated at the prestigious Juilliard School of Music in New York City, where she received a full scholarship. Her consistent artistic excellence afforded her the privilege of being hand selected by The Queen of Soul, Aretha Franklin, for her concerts: Aretha Franklin Presents: A Two Night Revival, Aretha Presents: GospelFest and Aretha Franklin Presents: The Gospel Legends. As a result, she performed at Franklin’s Homegoing Celebration in Detroit. She has performed on several occasions as “The President’s Soloist,” [Barack Obama] singing the National Anthem, as well as at “Christmas at The White House;” she has performed both the American and Canadian national anthems for The U.S. Consulate General Montréal on many occasions. DuBois Harris has also performed many operatic roles in the U.S. and abroad, including Mimi in La Bohéme, the title role in Aïda, Micaëla in Carmen, Countess Almaviva in The Marriage of Figaro, and Bess in Porgy & Bess. Early in 2018, DuBois Harris joined the Reverend Jesse Jackson for a series of MLK50 events commemorating the 50th anniversary of the assassination of civil rights icon Reverend Dr. Martin Luther King, Jr., in Memphis, Tennessee. She also performed for the Equal Justice Initiative, headed by Bryan A. Stevenson. DuBois Harris’ debut album, Testimony, was released in 2012. A soaring collection of inspirational music and hope-filled hymns, Testimony was produced and recorded with Jerroll Lehman (producer/orchestrator) and Damien Sneed (pianist/co-arranger). Audrey DuBois Harris’ JOY TO THE WORLD! A Christmas Celebration will be available on iTunes and other digital music platforms worldwide. For more information, please visit www.audreyduboisharris.com.